Discussion in 'Busse Combat Knives' started by gdog363, Oct 7, 2018. Dale was cool, but he should have paid more attention to where he was walking! Merle Dixon is my favorite character that can't be brought back. He could be an a-hole but there was a realness about that character that none of the current characters have. Like, all of these people have survived and yet none of them have any real, full time grit. They are all kinda tough when they need to be but then they turn it off when they are inside their walls. I believe that the show suffers from lack of character development , Tom Panes character Jesus or the man who played tyrese it might have been nice to see them bring out more in them. They have done a great job with Carol and her story arch , early on with fewer ppl it was easy now w/more groups I understand its more difficult. I really liked the Tyrese character. The gentle giant that you didn't want to mess with and could wreck lots of skulls in short order with his trusty Estwing was a great part of the show. Also wish they would have made Andrea a more likable character and stuck to the comic storyline with her role. I'm confused. Did Michonne have Rick's baby, or not? Yeah, I HATE it when they do that jumping back and forward BS. I think I saw Beta on Battlefield Earth. 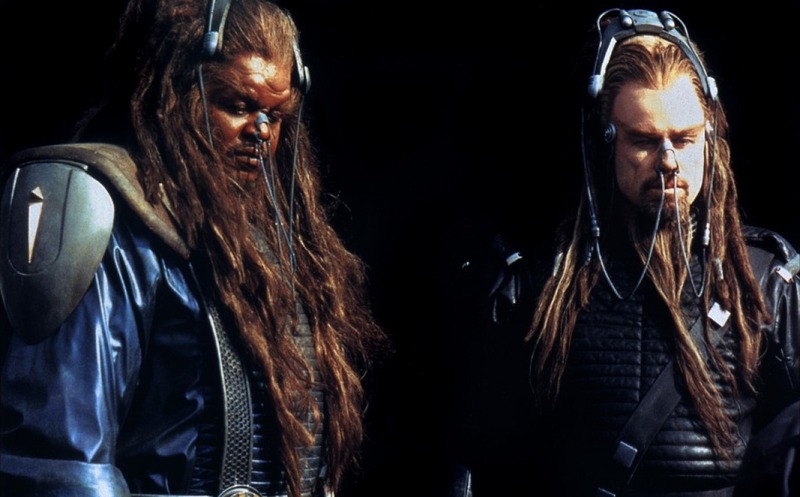 Battlefield Earth was a critical and commercial failure, frequently described as one of the worst films of all time. Reviewers criticized virtually every aspect of the movie, including the acting, cinematography, script, special effects, and art direction. Audiences were reported to have ridiculed early screenings and stayed away from the film after its opening weekend. It received eight Golden Raspberry Awards, which until 2012 was the most Razzie Awards given to a single film. It won Worst Picture of the Decade in 2010. It has since become a cult film in the "so bad, it's good" vein. The film's poor box office performance and the collapse of Franchise Pictures ended plans for a sequel. WOW! Killed off some some tonight. It's just stupid. Apex predators don't tangle with other apex predators just to prove who's on top. Or even prey tht can defend itself. and no one with half a brain picks a fight for no good reason with someome who stands a good chance of killing you. none of this makes any sense. Very true but it is people we are talking about. Strange that none of the main people killed off are on the talking dead. Sitting here thinking I hope fear the walking dead does not do the time jump. Glad Morgan got away from what is starting to look like the start of a train wreck. The killing off of Enid and Tara really doesn't make any sense. I am glad the teenage love drama is not going to build. Just setting the stage for Carol to give some payback to Alpha. Dang. I was really starting to like Enid. 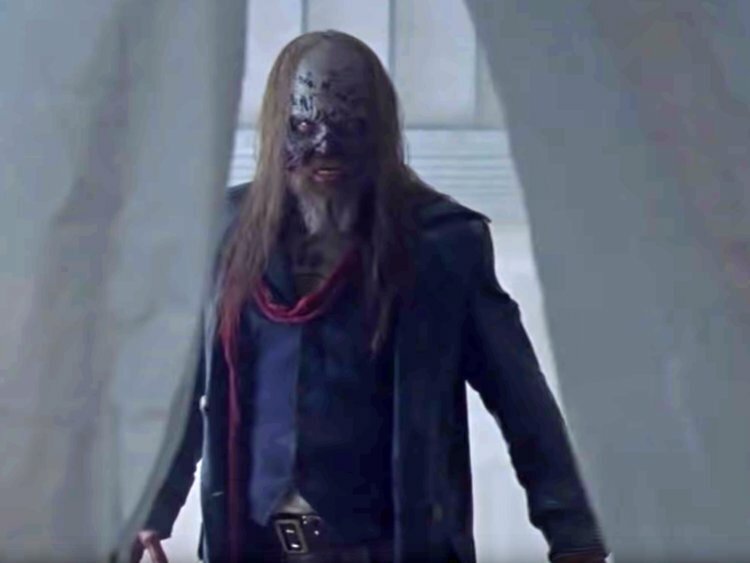 I had a feeling that something serious was going to go down when Daryl and crew were leaving Alexandria and the guy on the horse had the big ol' Grim Reaper blade. And what the heck is up with the fake Glenn dude?? It definitely does seem that they make it a point to put "diversity" as a top priority when pairing couples in the show.